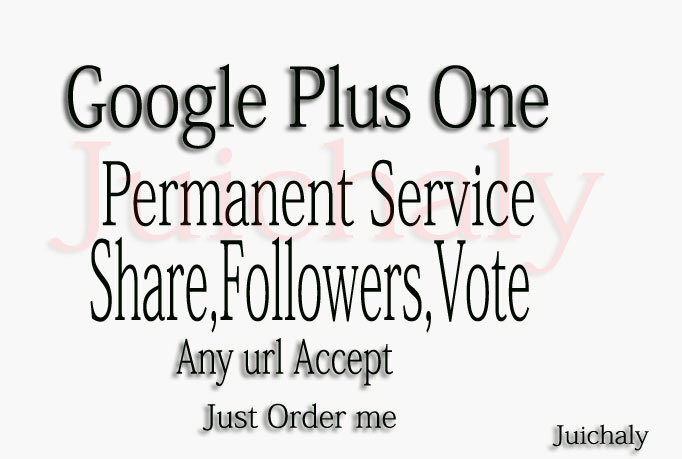 I will send over 505 google plus votes to increase your website rank. Google +1 increases your sites popularity and have a good effect on your search engine rankings. Everything is real and vote will stay long and increase your rank website on Google. 100% safe and satisfaction guaranteed.You are really in safe hands here. Try it once and I guarantee you will be back for more. Please note, in today’s SEO game IT’S RARELY ABOUT QUANTITY but FAR MORE IMPORTANT IS QUALITY. We can divide your single order for multiple URLs (maximum twenty/ gig). 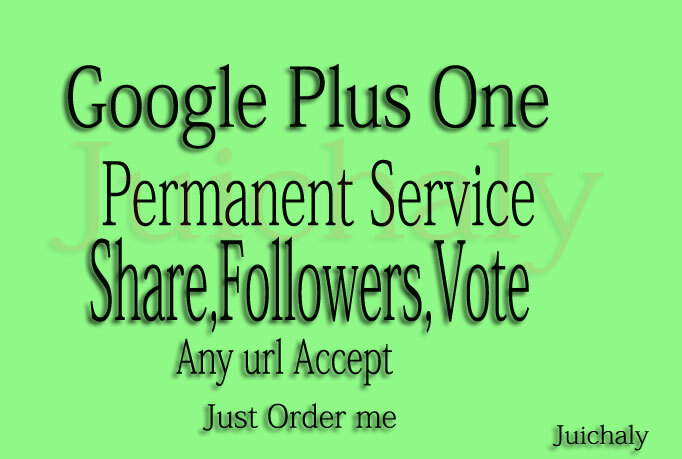 Add over 505 Google Plus 1s ones, vote, shares, likes to website is ranked 5 out of 5. Based on 4 user reviews.